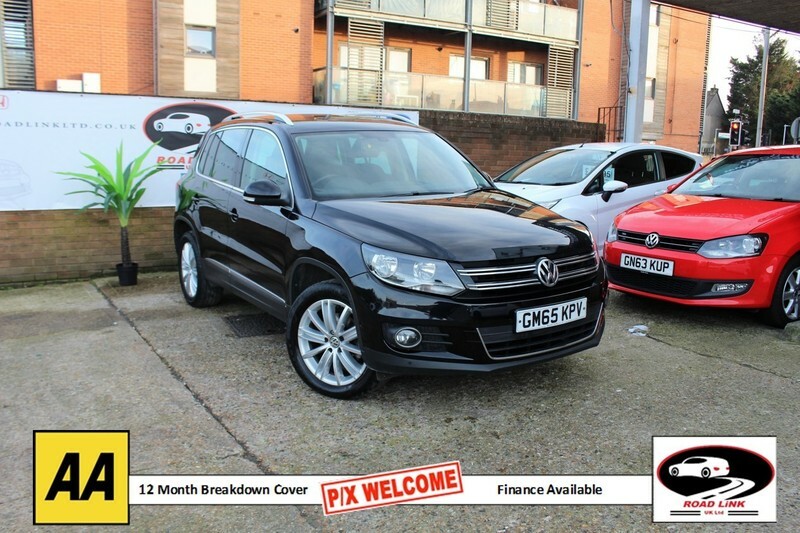 Volkswagen Tiguan 2.0 TDI BlueMotion Tech Match Edition DSG 4MOTION (s/s) 5dr # Adjustable Steering Column/Wheel - Rake/Reach# Air Bag Driver #Air Bag Passenger#Air Bag Side - Front Side/Front & Rear Curtain#Alarm#Alloy Wheels - 18in# Anti-Lock Brakes# Body Coloured Bumpers# Central Door Locking - Remote#Centre Console#Centre Rear Seat Belt#Computer - Driver Information System#Cup Holder#DAB Radio#Electric Parking Brake - Electric Parking Brake#Electric# Windows - Front/Rear# Electronic Brake Force Distribution# Electronic Stability Programme# Extra Storage# Head Light Sensor - Head Light Sensor#Head# Restraints - Front/Rear#Heated Rear Screen#Immobiliser#In Car Entertainment - Radio/CD/MP3#Interior Finishes - Metal#Interior Lights - Reading# Limited#Slip Differential - Automatic#Mirrors External - Electric/Heated#Mirrors Internal - Automatic Dimming Rear View#Power Socket - Front/Rear#Power#Assisted Steering# Rain Sensor# Rear Wash/Wipe - Rear#Roof Rails#Seat - ISOFIX Anchorage Point - Two Seats - Rear#Seat Belt Pre-Tensioners - Front#Seat Height Adjustment - Driver/Passenger#Seat Lumbar Support - Driver/Passenger#Seating Capacity - Five Seats#Seats Split Rear#Seats Sports - Front#Spare#Wheel - Space Saver#Speakers - Eight#Start/Stop System - Start/Stop System#Sun Visor#Telephone Equipment - Bluetooth Interface#Third Brake Light#Tinted Glass#Touch Screen Monitor - Touch Screen Monitor#Traction Control System#Tyre Pressure Control#Upholstery Cloth/Vinyl#USB Connection REF:JY5XB free buying experience where you can drive away the same day. All our cars come with 1-year AA breakdown cover, HPI clear and 3 months warranty, part-exchange welcome, finance available at best rate. At Road Link ltd we ensure that all of our vehicles are inspected and in great working condition. If you have any queries please contact us on 0208 848 3221 or via E-Mail.